The insights provided by more than 700 Chief Human Resource Officers around the world show how workforce investment is shifting. Companies are beginning to focus more on growth, expanding into new markets and offering new products and services. 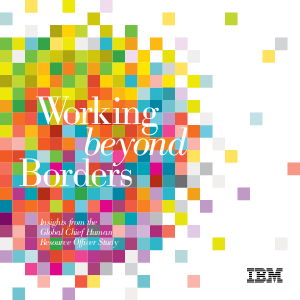 But to make the most of potential growth opportunities in today’s dynamic global marketplace, organizations need to find ways to address the “borders” that are currently impeding their workforces.